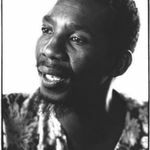 Born 25th March 1934, Philip Tabane is one of South Africa's longest-running and most respected and innovative jazz guitarists and band leaders, as well as a mentor to those who have been part of his percussion-based backing band Malombo. Active since the early sixties, he has toured internationally but remains based in his home country. Mr. Tabane is also the recipient of the South Africa Music Awards (SAMA) Lifetime Achievement Prize and in 1998 was awarded an honorary Doctorate in Philosophy of Music from the University of Venda. The group is based in Mamelodi, Pretoria and led by multi-instrumentalist Philip Tabane. 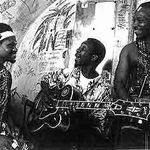 Malombo is one of South Africa's longest standing groups, and has helped shape and inspire the musical careers of many. Initially operating as The Malombo Jazzmen with Abe Cindi (flute) and Julian Bahula (percussion) in the 1960's, the group evolved to Malombo, with Tabane enlisting (and training) a succession of musicians, including Mabe Thobejane, and more recently, Raymond Motau and Oupa Monareng. The instrumentation is unconventional - African drums and hand percussion, interplaying with Tabane’s unique guitar, vocal, and flute sounds.